Car Care & Detailing Washing, waxing, cleaning, caring. 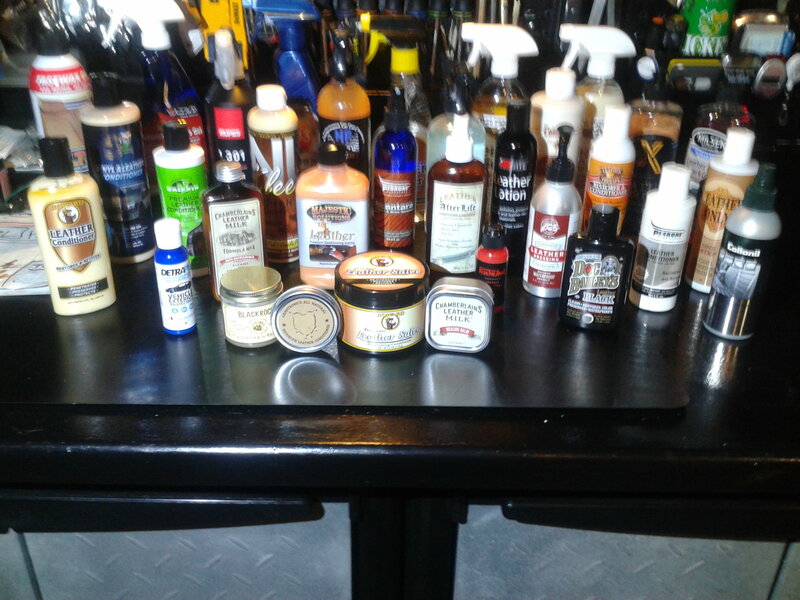 I'm about to do a product test on leather cleaners/conditioners. What is everyone's favorite brand. Last edited by kperrett; 04-14-2019 at 01:04 PM. I would say it's one of the best on the market! I used to use Zymol now I'm using Lexol cleaner and conditioner. 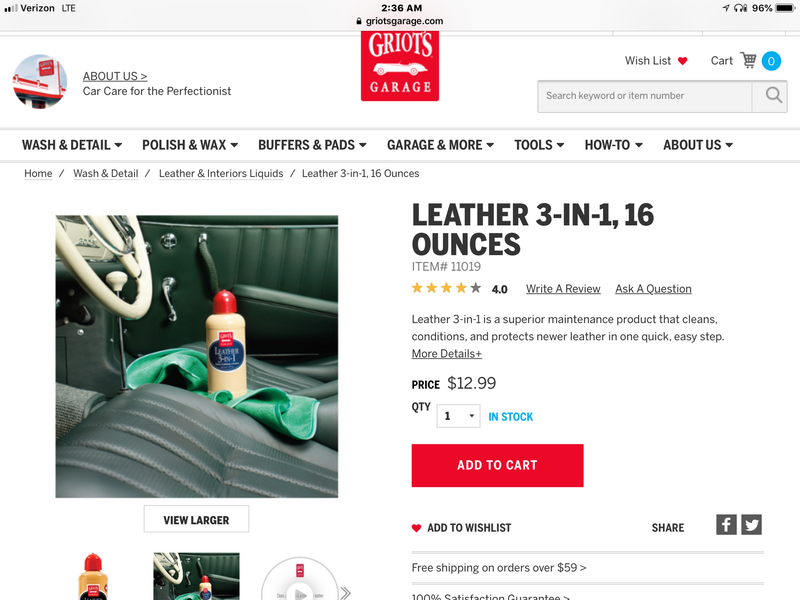 My go to product for cleaning the leather, especially if it's dirty (I have light beige w/wheat) is Woolite in a 10:1 mixture with water followed with Lexol cleaner to remove any residue finished with Lexol conditioner. What will you be testing for? My understanding is that modern leather for automotive use (Japanese vehicles) is coated with a thin layer of vinyl to protect it where as some European leathers are un-coated and need an actual protectant so it would be difficult to document the ability of products to soften or renew leather in a G. Are you testing ability to remove soil? Ease of use? Residual when finished, i.e. oily feel and odor? its pricey, but my big bottles have lasted a long time. slather on the Rejuvenator, cover seats with plastic trashbags, and let the car sit out in the hot sun for a day (you can still drive the car with the bags on the seats). repeat if necessary, then follow up with the Prestine Clean. What will you be testing for? My understanding is that modern leather for automotive use (Japanese vehicles) is coated with a thin layer of vinyl to protect it where as some European leathers are un-coated and need an actual protectant so it would be difficult to document the ability of products to soften or renew leather in a G.
coated leather is still semi-permeable and will dry out if not conditioned. Sonax Wheel Cleaner vs. P21S Wheel Cleaner? Removing Maguiar's Cold Glass Leather conditioner? ?